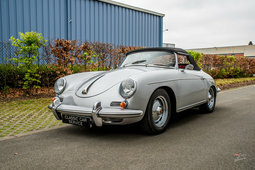 Stunning Porsche 356 Pre-A Speedster that has just been completely restored. Production completion date 30/03/1955. Delivered new in 1955 to Hoffman in New York. The last owner was Robert Arthur Gosnell, from Phoenix Arizona. 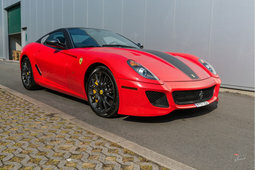 In 2007 the car was imported to Europe. Chassis number 80453, matching engine type 546/2 1500 cc number 34663, manual 4-speed gearbox. 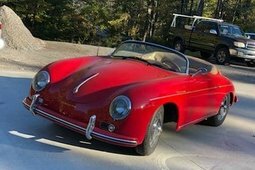 This car is restored to the highest standards, exactly as it came from the factory in 1955 according to the certificate of authenticity. The exterior colour is signal red (colour code 601). These Pre A Speedster models were originally only produced in three different colours: red, blue and white. The interior material consists of the very rare Acella Bast (Basket Weave) in colour Cream. The car has stood in a barn in Ireland for over 12 years when we purchased it and restored it completely. 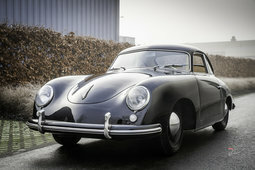 Just last week the last finishing details where done on the restoration of this car. The restoration is fully documented with photographs.